Since I’m sure you’ve all spent the weekend poring over my summer cookbook rundown in Sunday’s book review, you know that one of the books I was most enthusiastic about this year was Eat a Little Better, by Sam Kass, who cooked for the Obama family when they were in the White House. The book is filled with insider anecdotes and (not surprisingly) the kinds of recipes that ground and nourish busy families. It was also one of those cookbooks that was as satisfying to read as it was to cook from. Exhibit A on that claim? This story he wrote about the President’s “lucky pasta.” It’s an excerpt from the book, in Kass’s words. Even if you weren’t following politics during the 2012 election, you probably heard about the first presidential debate. The president faced off against former Massachusetts governor Mitt Romney in Denver, and let’s just say it didn’t go as planned. One of President Obama’s weaknesses, as he readily admits, was his impatience with the show of politics. In that debate, he delivered a sober, detailed discussion of policy. And he paid the price. His performance was universally panned in the media and Governor Romney’s poll numbers surged. The pundits declared that if Obama tanked another debate, he would probably lose the election. Needless to say, the pressure was on. I was on food and hangout duty during debate season, traveling with the president and helping to feed him in the run-up to all three. After the unfortunate first contest, his staff spent three days holed up at a hotel in Virginia as he battled through grueling practice sessions. Practically the only breaks he took were to eat. Finally, the day of the second debate arrived. The plan was to head to Hofstra University, on Long Island, around lunchtime. By late morning, I still hadn’t gotten word on whether the president, who’d eaten a late breakfast, would want food on the plane ride, so just in case, I started cooking. In the hotel kitchen, I prepped and packed the makings of a simple lunch: I cooked a chicken breast, whipped up a classic pesto, and boiled mini penne just shy of al dente. I grabbed some raw spinach and Parmesan, then loaded into the motorcade with the rest of the president’s staff, all of us wearing our best “We’re totally relaxed and confident” faces, but all of us nervous. When Air Force One took off, I stopped by the plane’s conference room to see if the president wanted something to eat. In the middle of a game of Spades, he hemmed and hawed a bit, then said, “Sure, just nothing too heavy.” I had my marching orders, so off I went to the kitchen to prepare the first and only meal I cooked on the president’s plane. The kitchen on Air Force One is surprisingly tiny and intimidatingly immaculate. When I got there, it was crammed with the two Air Force chefs prepping to serve lunch to the hundred-plus people—including White House staff, Secret Service, and press—onboard. They stopped work when they spotted me, as they did whenever the boss needed to eat. I wedged my way in, turned on one of the four induction burners, and got to work. I resuscitated the penne in a pan with a little olive oil and water, tossed in the chicken, and then the spinach. I hit it with some pesto, trying my best to avoid defiling the pristine stove with green spatter, threw on a handful of grated Parm, and hustled a plate to the president, who was both deep in Spades mode and reviewing a stack of papers. From then on, it became known as “Lucky Pasta.” I made it for him again before the third and final debate, and he turned in a stellar performance— no thanks I’m sure to rigorous prep and a firm command of the subjects of foreign policy and national security. Come on, it was the pasta! Because I’ll tell you what: I also made it on Election Day. You may not have an election or debate coming up, but we all need a lucky charm, or at least a meal that comes together in minutes. Feel free to cook the chicken, boil the pasta, and even make the pesto the night before. If you do, undercook the pasta slightly or reheat it in just a little water in a saute pan. Store the pesto in the fridge with plastic wrap pressed against the surface to keep natural discoloration at a minimum. Serves 4-6. Cook the pasta in boiling salty water until al dente. Drain, reserving 1 cup of the water. While the pasta cooks, drop the garlic into a food processor with the motor running and process until the garlic is finely chopped. Add the basil, nuts, cheese, half the oil, and ½ teaspoon of salt and pulse to a coarse puree. With the motor running, add the remaining oil in a slow stream and keep processing until pretty smooth. Toss the hot pasta with the pesto, chicken, spinach, and ⅓ cup of the reserved pasta water. Gradually add more of the pasta water if the dish seems dry. Season with salt to taste and top with more grated or shaved parmesan. Preheat the oven to 450°F. Put the chicken breasts on a parchment-lined baking sheet and coat with the oil. Season generously all over with salt, about 1 teaspoon total. Roast them skin-side up until lightly browned and fully cooked but still juicy, about 20 minutes. Let them rest on a cutting board for a few minutes, then cut into bite-sized pieces. Reprinted from Eat A Little Better. Copyright c 2018 by Sam Kass. Photographs copyright c 2017 by Aubrie Pick. Published by Clarkson Potter/Publishers, an imprint of Penguin Random House, LLC. Giveaway winner has been chosen. (Congrats Kati!) Thanks for playing everyone. Yum, that’s just about how we make pesto, except we toss with cherry tomatoes instead of spinach, but spinach is a good idea too. I just ordered this from the library, because I’ve already exhausted my cookbook budget for the year. I would love my own copy of Sam’s book that can absorb a few spills! Haha! A cookbook and history book all in one? I want it so badly! Plus, pesto is my absolute favorite, I can’t wait to try this recipe. That’s a great story – I love cookbooks that are good reads! What a great story and recipe! That’s what cooking does: reminds you of things that’s happened in your life. My mom used to make something just like this but she also added raisins and pine nuts, which was great. I wish my kids would eat this! Love to read this book….. This sounds like the perfect lucky dish to me! 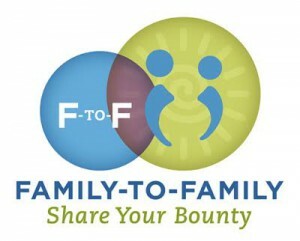 I can’t eait to make it for my family. oh my goodness, that Lucky Pasta sounds incredible! And as a full time working mom, with a preschooler who still has an early bedtime, easy nourishing meals are exactly what my busy family needs. Would love to win this book!! This pasta looks amazing. Oooh I love cookbooks in which recipes are accompanied by stories – it’s why I’ve always loved your cookbooks. And being in an ongoing stay of Obama-stalgia, this sounds perfect. Sounds delish! Excited to try this recipe. I love this! Sounds like a great summer book to cook-thru with family! In the current political reality we’re living in, it’s so lovely and soul refreshing to be reminded that we’ve had presidents who treat others with kindness, dignity, and respect – even in extremely stressful times. Can pasta change the world? Unclear, but when coupled with kindness even a simple bowl of pasta can remind us that anything is possible. Without knowing the background to the story, my girls would call this “lucky pasta” because they feel like it’s their lucky day when we make pesto! It started years ago when their daycare/pre-school had a garden. At the end of the growing season, I would buy all the basil that they hadn’t sold at their little farmer’s market (to parents). They always felt lucky to get all of the extra basil and to know we had several months of pesto stockpiled! I sure miss Obama. This cookbook looks great! This looks easy and tasty. I’d love to win and read this book! sometimes simple is best! definitely going to have to check out this book! I read your article and thought it would be a great read (as I sometimes don’t have the time to spend much time in the kitchen now that I have two little ones, and I use cookbooks as a way of daydreaming of what I’d lile to eat or cook). Besides, this one it will make a super present for my 40th birthday !! Yum! Who WOULDN’T love a fresh pesto pasta?! Delish. Thanks for sharing! Would love to win this cookbook! Feel like I need to put a couple of more basil plants in the garden! I love thinking of our gracious, kind, and intelligent president taking pleasure in this dish. This is the kind of food and cooking we enjoy, too. And now, we need energy and good recipes to fuel the change that is coming. Sounds like a winner to me–would love a copy! I love this, and the mention of Pete Souza, one of my favorite photographers! I’d love to win a copy of this book, too! Count me in for the drawing and thank you! This sounds like an amazing read and amazing recipes! How can you go wrong?? I have a pesto with penne lover in the house so I’m adding this to our recipe rotation. I love cookbooks with anecdotes and recipes with a back story This was a great one! This pasta sounds so good!! Sometimes pesto chicken pasta is just what I want too! This sounds yummy and something the whole family would eat! Love this excerpt and recipe! Thanks for sharing! Loved this post as a reminder to what class and grace and good food are all about. Thanks for the chance to win! I watched Sam on The Kitchen (Food Network show on Saturdays) this past week and he seems like such a cool guy. I will DEFINITELY be making this recipe, as well as getting his book – either through this giveaway or I’ll go purchase it! Reading this story brought so much comfort, I can’t imagine what eating the dish would do! During this administration, we could use a little luck! Would love a copy of this cookbook! sounds like a beautiful book. and what a fun pasta story! This book sounds so great! … I mean, I make this dish on the regular in my house. It’s known as my easy, no thinking required, weeknight dinner. But good to know President Obama and I share a love of pesto, chicken and pasta. Um ,so not the weekend, but I definitely poured over your summer cookbook list and was, also, most excited about this one! Glad to see what gabby’s cooking on the list of what to check out too! If it’s good enough for Obama, it’s good enough for me. Can’t wait to try this! Just put a request in to the library for the book. Thank you! This all sounds so cool and delicious! Would love to win a copy! What a sweet story and now I’m missing the Obamas! Sounds delicious sans chicken. Vegetarian here. What a great story! Man, I miss Obama. I would love to win the book! Pesto is one of my favorite things to make and freeze for a taste of summer in the middle of winter. That pasta looks fantastic and I love the story behind it. Swoon! My husband would argue I need no more cookbooks, but cannot argue with a chance to read about anecdotal, insider Obama fam stories! Would love to read this and enjoy Sam’s recipes! Sounds and looks delicious!!! Pesto is the besto. Sometimes it’s the simplest meal that satisfies you the most. Awesome story! And thanks for the recipe! I have a giant bush of basil ready to go for some pesto and I love these anecdotes about Obama! This looks like an amazing book. I bet there are some fascinating stories and delicious recipes in there! Yum. It’s the last week of school…time to plant some basil and cook something! Looks like a great family cookbook! The recipe sounds great — look forward to eating and reading all that Sam has to offer. That’s a great story! Off to request this book from the library. Thanks for highlighting his cookbook-can’t wait to read it-even if I don’t win it! By the way – we made Picnic Chicken from How to Celebrate Everything last night. It was a big hit – and so nice to put it together the night before so it was ready and waiting to go on the grill right after work. I love cookbooks that provide backstory! This dish sounds delicious and easy! This is my go-to pasta recipe as well! I sometimes add artichoke hearts, and sometimes I’ll use orzo instead of traditional penne. I’d love a copy of this book, if only for the annecdotes alone! My god do I miss Obama. Simple food plus a ‘new’ perspective on recent history. Sign me up. Icing on the cake would be if it had more than a handful of vegetarian recipes. Recipes and info about the Obama’s and the White House. Sounds like perfect read for commuting. That recipe looks really good, I’d love to have the cookbook! I came for the recipe – always on the lookout for a simple pesto pasta. I never find what I imagine it to taste like. Maybe, like the president, this is what I need. I can’t wait to read this cookbook, miss the Obamas! This looks like a great recipe- I can’t wait to see the whole book! Good food, history, and Obama…heaven!! This books sounds so interesting and the recipe sounds delicious! Yum, I love pesto and this accompanying story! Yum, this looks delicious. These kinds of meals are my entire repertoire at the moment (with a 4 and 2 year old) – but most appealing is that I’d be eating food that Obama ate!! this is a great story! thanks for the read and for the opportunity to win the entire book! What a great story! I can’t wait to give this recipe a try. I’m adding the ingredients to my shopping list. I hope it can bring some great moments to our family as well. Man, I miss President Obama. The pasta sounds wonderful. We make something similar, but with frozen peas and asparagus subbing for the spinach. We all could use a little bite of this lucky pasta, couldn’t we? I love pesto and I love this story! This cookbook sounds fantastic. What a great way to remember the Obama era! Ok I loved that anecdote- makes me smile and miss Obama a little bit more! I love this! I make pesto every summer and keep it in the freezer to have for the rest of the year. Making this “lucky pasta” for my kids as they power thru preparing for finals! Would love to have Sam’s cookbook in my kitchen for the recipes and the stories…not to mention, Sam is very easy on the eyes! 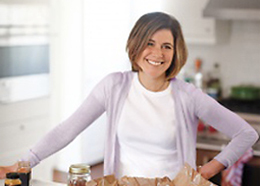 Simple, delicious recipes and peek into the Obama White House kitchen-I’m in! I love hearing about all the different facets of the Obama administration — the more I hear, the more it sounds like a wonderful group of hard-working and kind people that we were lucky enough to have steering the ship for 8 years. Perhaps a love of pesto pasta would make a good litmus test for future candidates! For some reason, this made me feel like crying! I love how preparing thoughtful, delicious food for people can not just feed their bellies but their souls as well. And it doesn’t have to be fancy! Also, I agree with others that the story/cookbook combo is amazing and is why I love your books (besides the many recipes we get for the rotation). Would love a copy of this one! Thank you for sharing this recipe! I love his philosophy and yours too! Adding this to my to-be-read list! Loved the excerpt. We had pesto chicken tonight! One of my husbands favorite’s. Looks delicious! I’d love to own his book. Can’t wait to dive into this cookbook! My favorite combo is part memoir, part cookbook! Great excerpt- now I want to read more! Thanks for the chance! This was lovely to read. I love cookbooks and Obama, so this would be a lovely thing to win! Thank you for the opportunity. Oh my gosh this sounds SO good!! I’m so excited for this recipe! Simplicity really makes the beauty of the food come out. Thanks for sharing!! This has been on my to-get list…always helps to have a recommendation from you! That looks so delicious. Pesto is one of my favorite comfort foods. Great story and pretty pasta! Oh…how I would love to share this cookbook with my daughter. 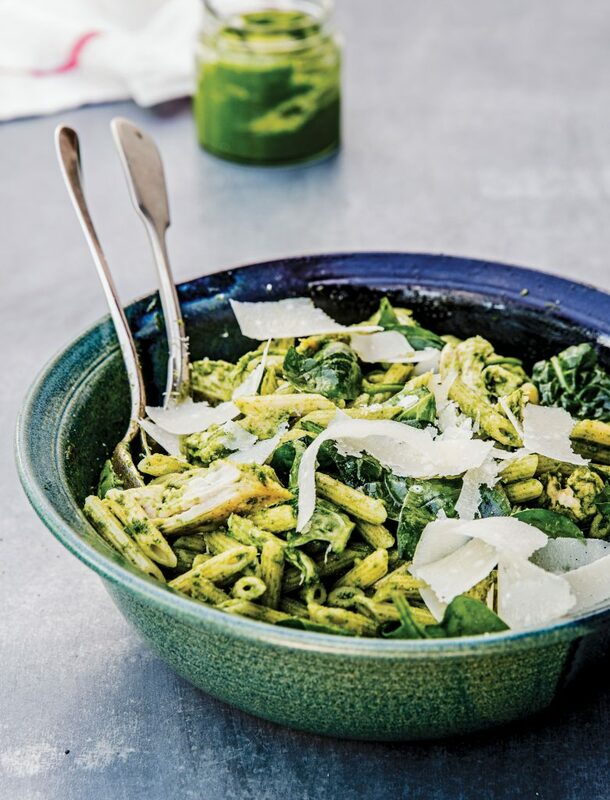 And she and I will be making this recipe next week–she is a pesto fanatic. Thank you for the opportunity! I am so happy to see pecans can sub for pine nuts b/c pine nuts have been a “page turner” for me for years. have you seen the price? i’m going to make this saturday when my husband is away b/c he thinks pesto is “too herby”. what??!! thanks! I love to “read” cookbooks! All types. But especially those with stories! And pictures! Sometimes wonderful recipes are the bonus. Looks like great book. I’m always up for some Obama-inspired nostalgia. What a great story! And a delicious looking recipe. I can’t wait to try it! Would love a copy! I love cookbooks that not only provide delicious recipes but also provide stories and glimpses into the author’s life (like yours Jen)! I love a book that ties recipes to stories! Love everything about this – the recipe and the story. Can’t wait for my basil to grow a little more, and also to read this book! This looks like such an interesting book! I love the combination of recipes + personal memoir. I heard Sam speak at Sixth & I in DC, and he told the story about this pasta – so I’m very excited to see this post! This is such a good teaser! I can’t wait to delve into this book and get some luck recipes to have up my sleeve! Wow what a great story to go with the recipe! Very inspiring. I’ll be making this tonight. Thank you! I love this remembrance so much. What a class act – both Mr. Kass and President Obama. Would love a copy of this cookbooks! “How can you miss someone you never even knew?” is a question I ask myself all the time when it comes to President Obama. How I love his family… Hoping to win the cookbook – I’ve heard such good things! It is heartening to hear what a kind, classy boss President Obama was; I got chills and nearly teared up reading this passage. Perhaps my reaction came from my fond memories of the past administration…or maybe it was the pasta! Sounds like one magical dish, can’t wait to try this recipe. Thanks so much for sharing Jenny. What a great story! Can’t wait to try the recipe. I have a new way of looking at pasta & pesto: LUCKY me and all who feast on this yummy dish! Thank you! I love and miss Obama’s distaste for the show of politics. (I also love and share his taste for a good bowl of pasta!). That looks delicious and easy! Will have to try out this week. So many great comments on a really awesome story, It’s hard to add more than all the insights from other readers but I can’t pass up the chance to try to win the book (although I already have it in my Amazon cart in case I don’t win!). Reading the story behind the recipe, with such a lovely glimpse into that world, only confirmed Obama as the smart, kind, funny, (nearly) regular guy I always thought he was. And then my heart broke as I crashed down to reality knowing how far things have fallen since he left office. Thankfully, your blog ALWAYS makes me feel better knowing there are other kindred spirits out there fighting the good fight for better dinners and a better world. Thanks Jenny! I would love this book just for the stories! I already went on Amazon and read part of the introduction. Thanks for your summer cookbook rundown! I put several of the books on my library wish list. I love curling up with a cookbook and reading the stories behind recipes. Can’t wait to check this one out! I would love to have this one at home! What a great story! Recipe sounds delicious too! I think I need this book. This is a delightful story, and the recipe looks great too! Going to be pairing this cookbook with Michelle Obama’s memoir for awesome holiday gifts this December! 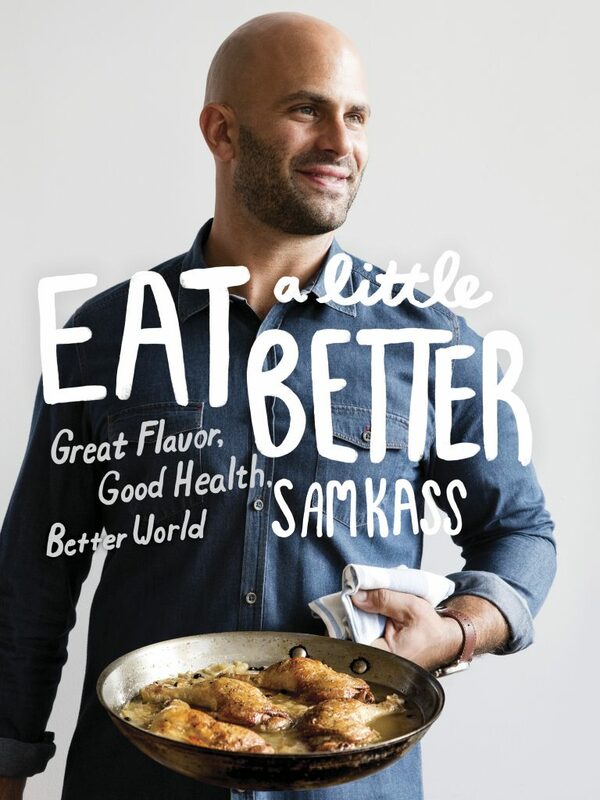 I love the title of Sam’s book – Eat ALittle Better. It’s aspirational but also manageable. I have a two year old and a two month old and making food seems impossible some days. So “eat a little better” sounds like a good mantra for my little family right now. I am going to make this for my family; I like the idea if adding halved cherry or grape tomatoes for color. I would LOVE to win this cookbook. It looks delish. Thanks, Sam Kass, for taking such good care of President Obama. I miss him. I just saw a recipe from this book on Cup of Jo this morning and saved it to my wishlist on amazon. I am notorious for buying cookbooks and never using them which is why I didn’t just buy it outright but this one seems legit! I want it. What a wonderful story, and what an honor to have cooked for such a lovely family. We miss them so much and I’d love to have this cookbook to both read and cook from! Of all the books you profiled in your NYT piece, this is the one I’m most excited about. This sounds like my type of book. I love cookbooks with good recipes and good stories to go along with them. would love a copy of this book. Thank you for introducing it to us! I am so glad that President Obama loved this pasta (I so enjoy watching Sam Kass on CHOPPED! And I am so glad he didn’t have spinach in his teeth from the pesto. Well done Sam! I love the title of the cookbook. It’s my mantra as I enter the world of retirement. Simple food, put together with flavor and not a zillion calories or hours in the kitchen. After reading this, I ran to my fridge to defrost some pesto I made last year. ( I know, it’s old, but now I am ready to start a new supply of pesto. Will use this recipe this time.). Thank you for a lovely story of sweet memories and a delicious recipe, too…lucky is an understatement. That sounds amazing — will have to put it on this weekend’s menu. chicken. I now have a plan for dinner tonight! Looks like a fun book to read and cook from. Would love to win a copy. Loved loved loved this story and would love a copy of the cookbook. Thanks!! Great post! I love his wife and just got her new book. I love this story! Lucky pasta never hurts!! Looking for inspiration and this sounds perfect! I enjoyed your cookbook roundup in the Times. This one sounds terrific! Would love to win it—and would put it to good use. Every story about Obama makes me sad- miss him so much! Assuming all the other recipes also bring luck? Regardless, great story from what looks to be a good read/cook. Sounds like the perfect spring/almost summer dish! Oh gosh. I’ve never needed a cookbook more than I need this one! Perfect summer pasta, can’t wait to try! I loved this story!!! My grandma June used to store up a gondola load of pesto every summer. Luckily! Would love a copy of this book- sounds delicious! Don’t you love those meals where you’re thinking “I didn’t know what I wanted…but it’s this!” Great story, and I’m excited to try the recipe! My garden is full of basil! I”m going to try this recipe using it! Sam Kass’s book sounds amazing – great recipes and Obama anecdotes all in one book, wow! I am totally making this pesto pasta recipe. 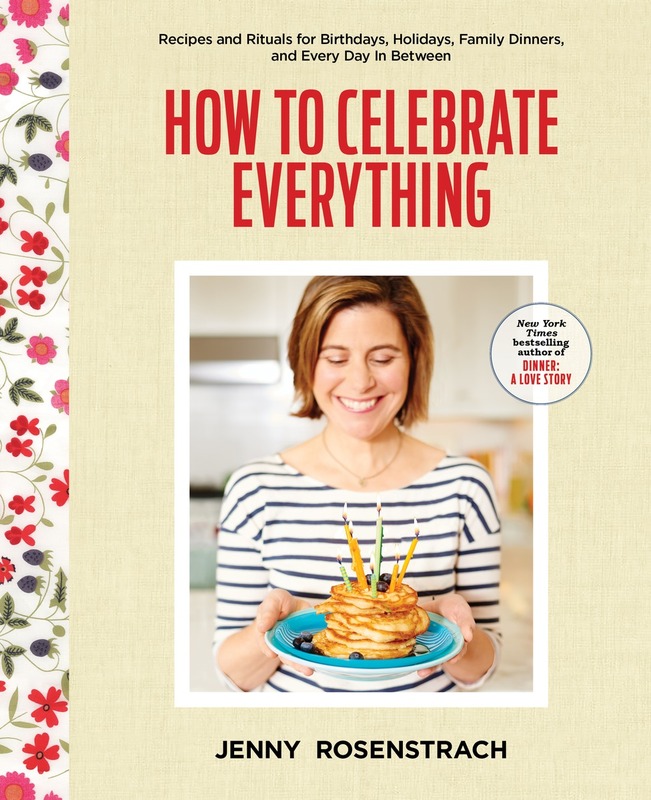 Thank you, Jenny, for this post and the great summer cookbook reading review! I have your books, too — thank you for all the great tips, which are much needed for me and my busy, picky-eater family. There is nothing better than a cookbook that tells a story too (cough, DALS, cough). Definitely would love to get my hands on this one! I would love a copy – I am definitely making this pasta for my family. We are big Obama and pesto fans! It’s 8:08 am and suddenly I want chicken pesto pasta! Your review of Eat A Little Better really piqued my interest. The recipes look so great – and the backstory is just fascinating! I’ve put a copy on hold at the library, but would LOVE my own copy! Thank you so much for sharing Sam’s story and work with us. The recipes looks yummy and something reasonable for us non-chefs to make for our families! And… What a sweet story! Warms my heart that in the midst of all he had going on, Obama still had the graciousness to write such an exuberant thank you email. Makes me miss him even more! I’d love to have a copy of Mr. Kass’ cookbook! I LOVE this story- partially because pesto pasta (with chicken if you’re feeling flush) is an absolute student staple here in the UK. I ate many, many meals of it when money or time or enthusiasm for cooking was a bit short during my degree, and it makes me SO happy to know it’s an Obama favourite too!! Would love this cookbook! Thanks for introducing it to us! I never tire of hearing stories about the Obama White House. The pasta too sounds so comforting and perfect. Can’t wait to read the rest of the book. We had pesto pasta last night too- with fresh peas, zucchini, and arugula. I would love a copy of this book! That is an uplifting story – from what little information has been made public, it seems Sam Kass really was an integral part of a strong White House support system. I would love to think that the food I cook is as supportive and strengthening for my family. A delicious concept, but also easy to mess it up or to be bland. Thanks for sharing! This was such a great story! This was such a great story to go with the recipe! This currently tops my list of cookbooks I want! What a wonderful story! I’m a total believer that sitting down to a meal has the power to reset any day. Love this dish, love Sam Kass, love the Obamas, and love you, Jenny! Looking forward to this book, one way or another! Thanks for the glimpse inside and the chance to win. As I was reading the opening of this post, I thought, “I have to get this book for my colleague.” 2 copies is probably a better plan. What a fun story. This, minus the chicken, plus roasted almonds, is on regular rotation at our house as soon as the basil starts. We often add oregeno to early summer pesto, since it is so abundant early in the season. Making me nostalgic- and hungry.